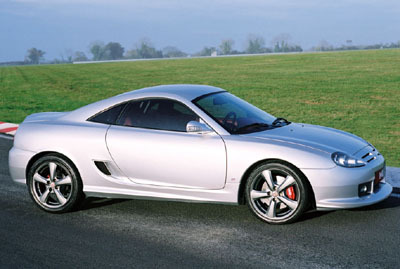 The 2004 MG GT concept was based on the MG TF roadster platform. 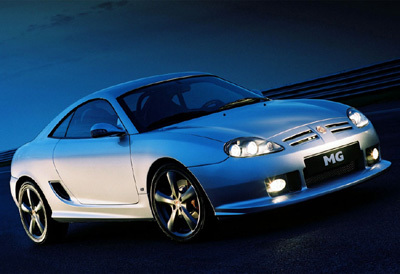 The hardtop MG GT concept revived the GT name made famous by the MGB GT. Because of its obvious similarites to the MG TF, if Rover was still in operation the MG GT could have been brought to production quickly and with relative ease. The biggest forseable hurdle for the design and engineering team would have been access to the mid-mounted engine. Easy with no roof, not so easy with one. Like the old MGB GT, the MG GT concept is a more powerful car then the soft-top version. Power for the MG GT concept comes from a 200 bhp, 2.5 liter V6, giving the car a predicted 0-60 time of under 6 seconds and a 145 mph top speed. 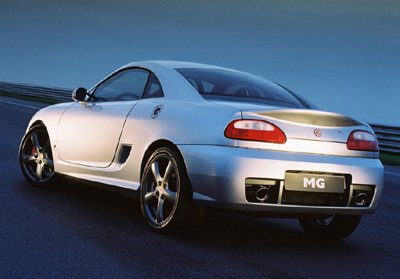 After Rovers buyout by Chinese firm Nanjing Auto the MG TF ceased production. However the company currently has plans to reintroduce the model in mid-2008, with construction taking place in Ohio. It is unclear whether Nanjing Auto intend develop the MG GT concept and take it to production.